An excitement was in the air from the flurries the night before. It was something the city had not seen for 35 years and many had never experienced in their lifetimes. The sparkling blanket of snow quickly melted away as temperatures returned to normal. But the mood had been set for the holidays. 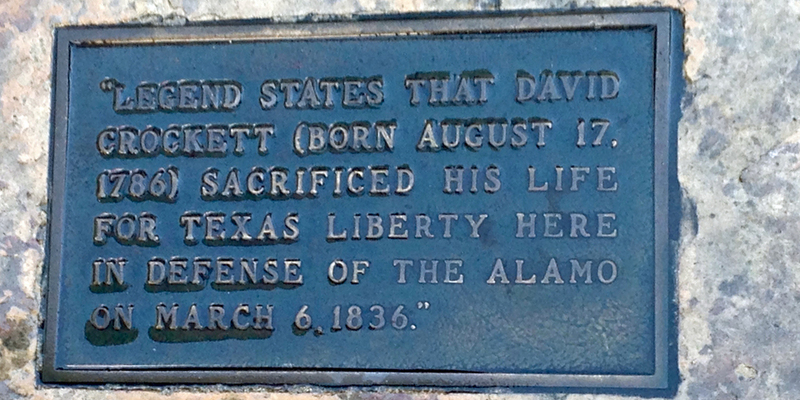 Our tour began near the plaque where Davy Crockett died defending the Alamo, then known as the Mission San Antonio de Valero. 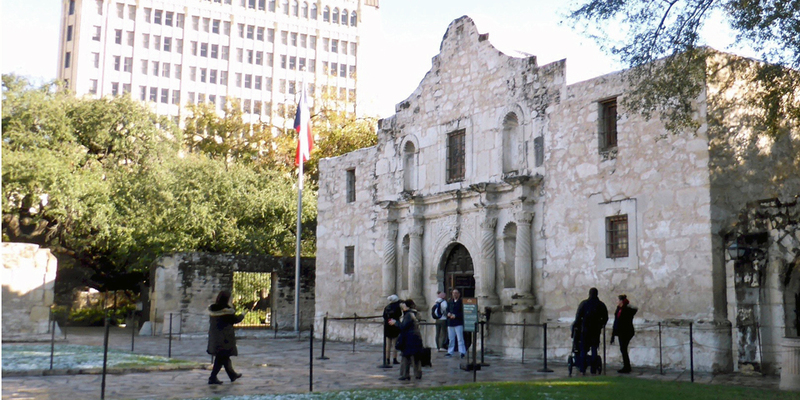 San Antonio was founded 1718 when the Alamo and a nearby presidio, or military garrison, were established. 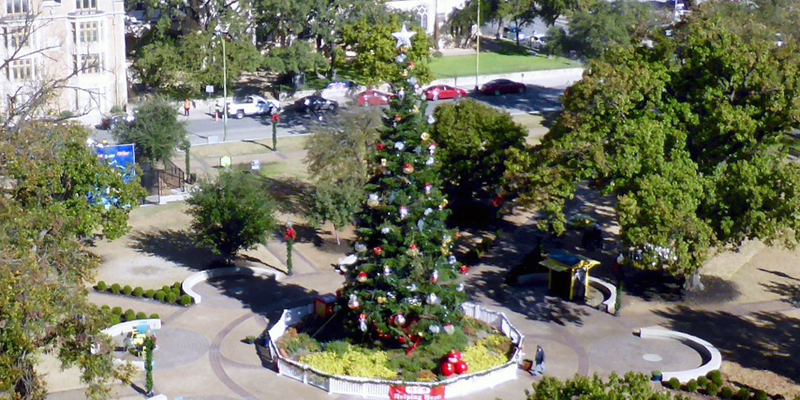 The city’s 55’ Christmas tree was moved three blocks away from Alamo Plaza to Travis Park in 2017. Travis Park is named for the Alamo’s commander and was once part of the Alamo’s farmland. When Spanish explorers arrived in 1691 they named this area San Antonio since it was June 13, the feast day of St. Anthony of Padua. Our hotel, the St. Anthony, was right across the street. 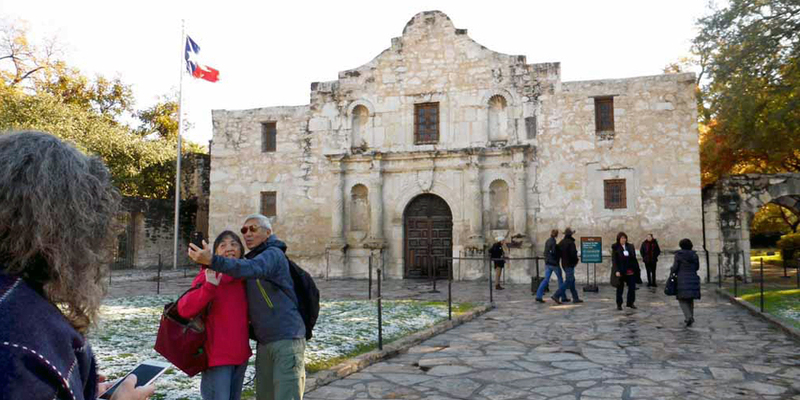 Attractions like the Alamo and Riverwalk have made the nation’s seventh-largest city the Tourism Capital of Texas. And in 2016 Travel and Leisure ranked it #1 among America’s Friendliest Cities. With one of the largest populations of active duty military and veterans, it is also officially known as Military City USA®. San Antonio was a major military artery WW1 and WW2, and the city grew rapidly with military operations after 1940. U. S. Army Post Fort Sam Houston, ”Fort Sam,” is named for the former U.S. Senator and Texas Governor. 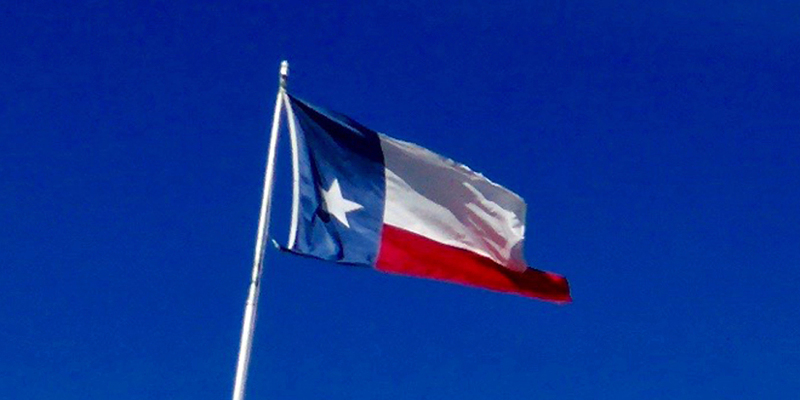 He was the first President of the Republic of Texas, which was an independent nation from 1836 to 1845. In 1845 it became our 28th state. This elegant “Waldorf of the Prairie” was built in 1909 by Augustus H. Jones and B. L. Naylor, friends who made a fortune in the cattle business. 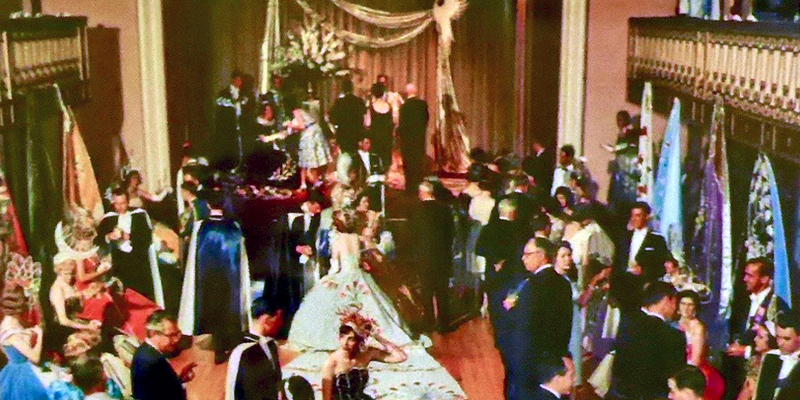 Photos that line the corridors show that the St. Anthony Hotel became the choice of visiting celebrities, politicians, business tycoons and royalty. It also continues to be the venue of choice for the most important and prestigious local celebrations. 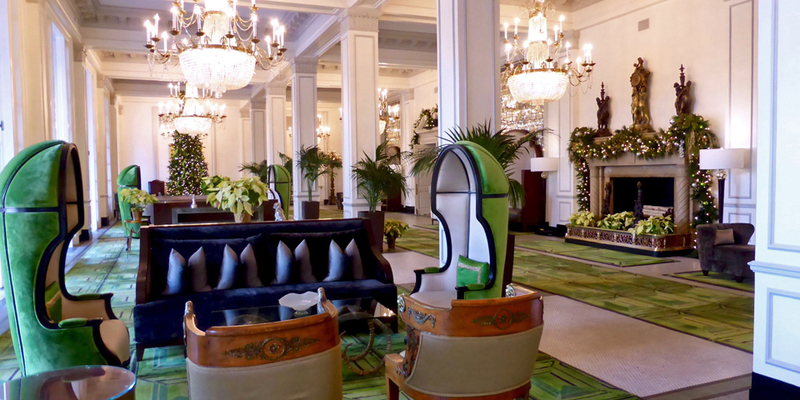 The lobby is known as “Peacock Alley,” another Waldorf-Astoria reference, as a place parade the finest attire. The eight magnificent chandeliers were modeled after those on the Titanic to complement the museum-quality antique furniture. Avid traveler and collector Ralph Waldo Morrison bought the hotel in the 1940s. 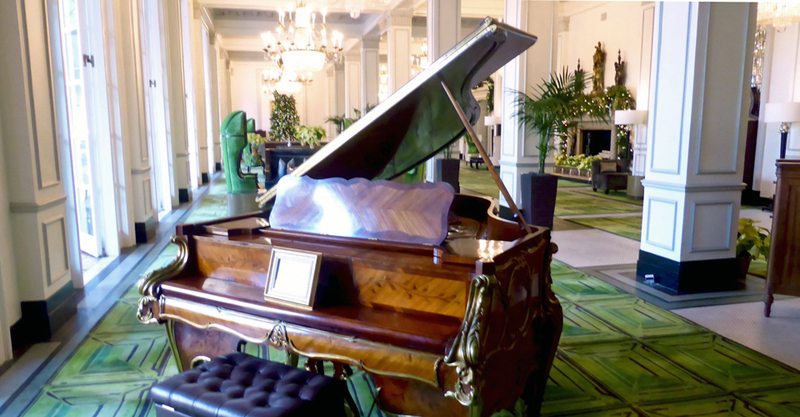 He added many treasures, including the magnificent Steinway piano that was built for the Russian Embassy in Paris. It is handcrafted of rosewood veneer with tulip wood inlay and trimmed with gilt bronze. Morrison made the St. Anthony the first fully air conditioned hotel in the world. He also added a garage and drive-in auto lobby and the first “magic eye” doors that opened upon approach. When Dwight Eisenhower was stationed at Fort Sam Houston he took Mamie out dancing on the hotel’s rooftop. LBJ and Lady Bird held their wedding reception there. John Wayne stayed so many times that a suite is named after him. The list goes on and on. 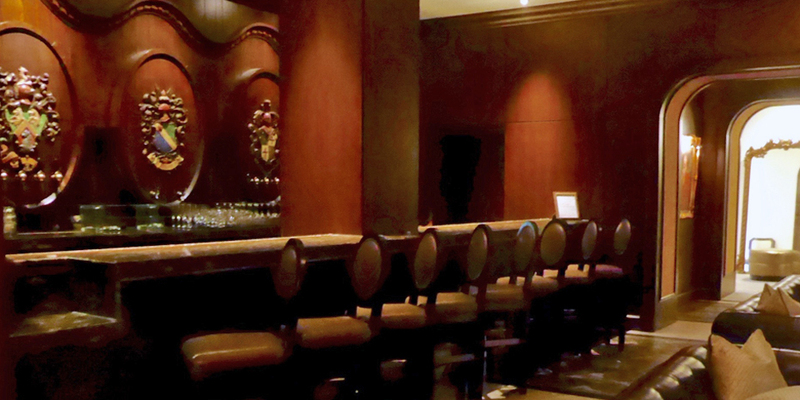 In the 1950s, when selling liquor by the drink was illegal except in private clubs, legendary designer Dorothy Draper was hired to design the hotel’s St. Antony Club. Ranchers, oilmen and others made some of the state’s biggest deals here. The founders of Southwest Airlines drew the original triangle route —San Antonio, Dallas, Houston —on a bar napkin and came up with the idea of offering fares so low people would fly instead of drive. The “Queen of San Antonio” had its grand reopening in 2015 as part of the Starwood Luxury Collection. Spanish colonists, Mexicans, Germans and others who came here created a multicultural legacy. 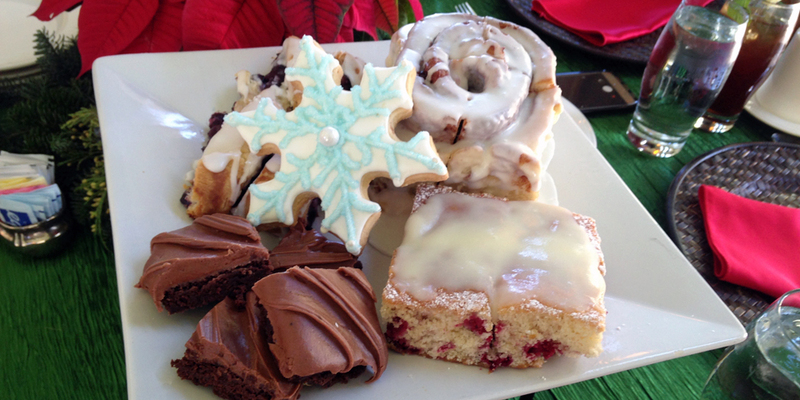 A holiday breakfast might include café con leche with Mexican tamales and German stollen. The culinary scene has grown so far beyond the ever-popular Tex-Mex, steaks and Whataburger that San Antonio was named a UNESCO Creative Culinary City of Gastronomy in 2017. It is one of only two U.S. cities to earn this honor. The Culinary Institute of America has infused the city with culinary talent and an inventive range of cuisine and restaurants. It is in Pearl, the hip 22 acre area with a neighborhood feel. 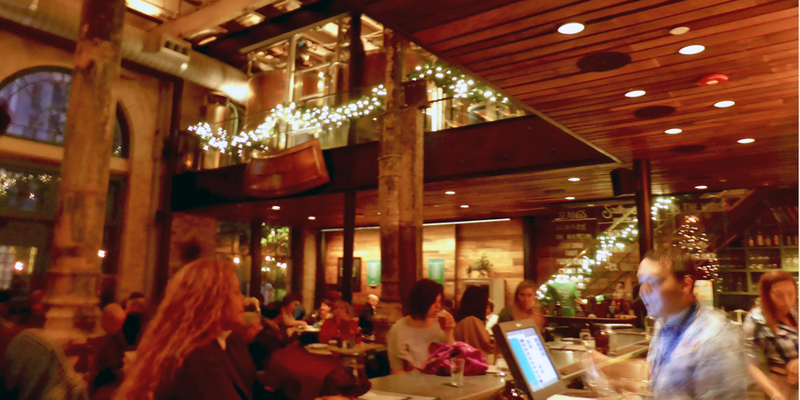 There are with chef-owned restaurants, independent specialty shops, residential units, a weekend farmer’s market, and the trendsetting Hotel Emma. Architectural elements have been retained in tribute to the German brewery established on this site in 1883. Chef Elizabeth Johnson, a former instructor at the Culinary Institute of America, opened Pharm Table next to the Tobin Center for Performing Arts. She sources food from local farms and ranches for her culinary medicine, anti-inflammatory cooking utilizing plants and herbs with health and healing in mind. 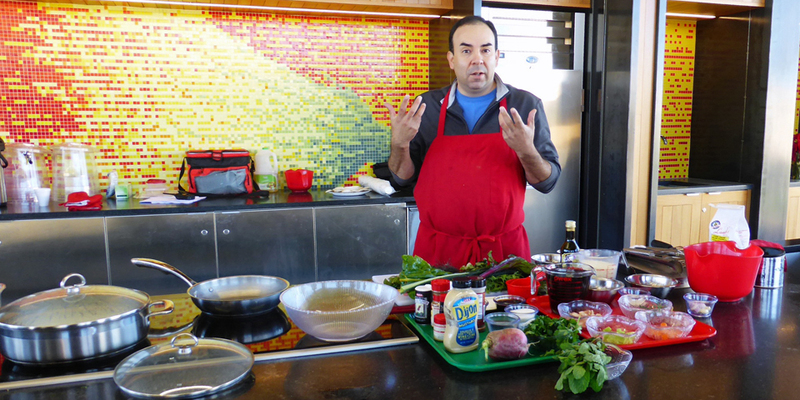 Pharm Table was named “Healthiest Organic Food Restaurant in San Antonio” by USA Today. 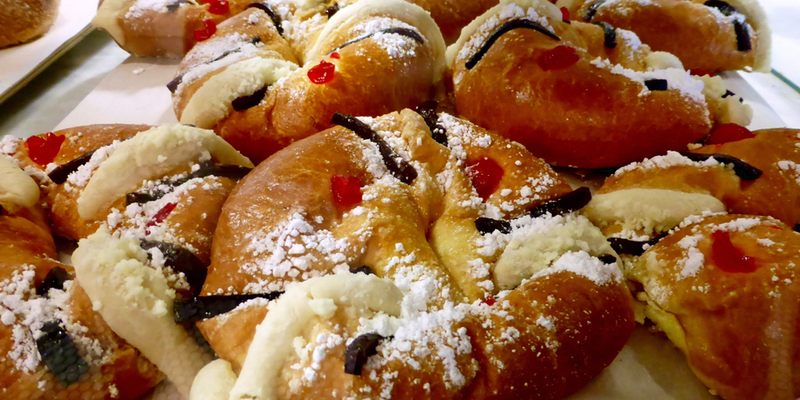 La Panaderia is another local gem with the unmistakable warmth of a family-run business. There are two locations for the Pan Americano concept bakeries, at 301 E Houston Street, near the Alamo, and the original at 8305 Broadway. La Panaderia serves breakfast, lunch, and dinner. It is well known for its freshly-baked breads and light and flaky handmade pan dulce, or Mexican pastries as well as tortas, or sandwiches. Proprietors David and José Cáceres’ tequila almond croissant was created when the steam oven was not available and they added tequila instead. It became the best seller the next day. Proprietors David and José Cáceres’ tequila almond croissant is the result of some creative inspiration when the steam oven was not available. They added tequila instead. It became the best seller the next day. 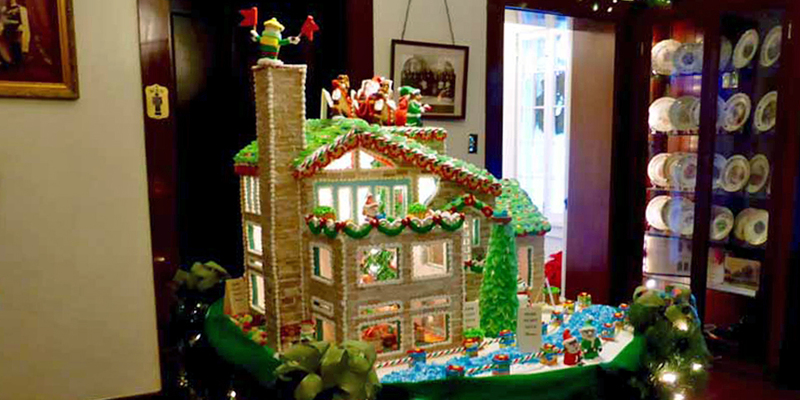 Breakfast, lunch, and delectable desserts are also served at Guenther House, the former home of Carl Hilmar Guenther. 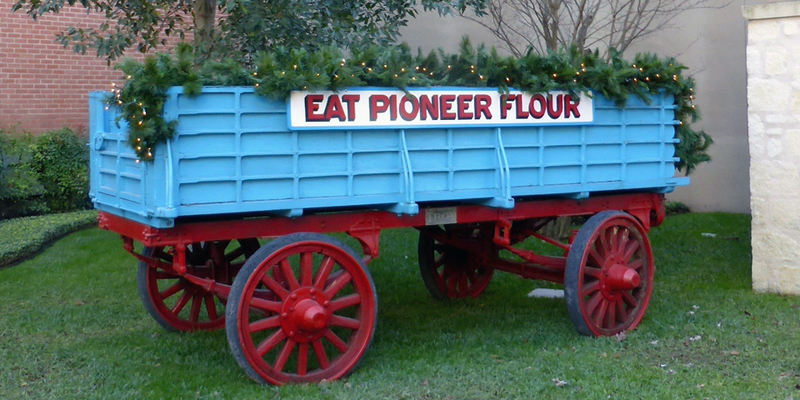 Mr. Guenther immigrated from Germany in the 1840s and founded the Pioneer Flour Mills, which continues today. 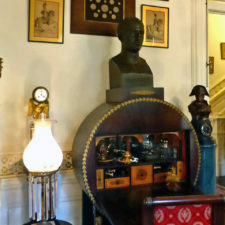 The house is also a museum and has a popular gift shop featuring the mill’s products. 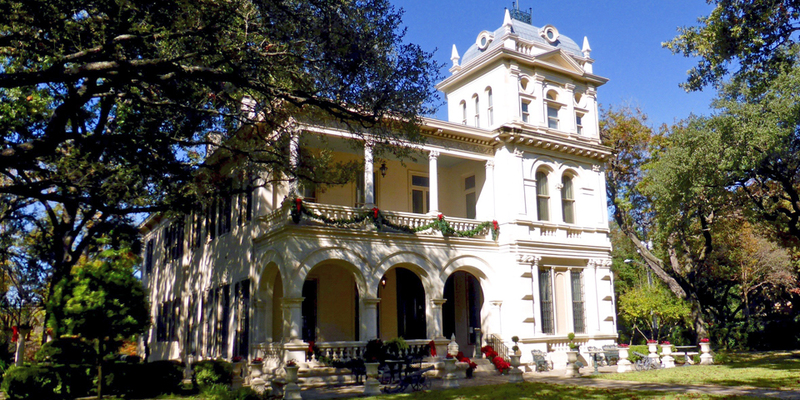 It is a short walk to Villa Finale, at 401 King Street, the museum home of the late Walter Mathis. Mathis revived the area when he bought and restored twelve area houses after the neighborhood declined. 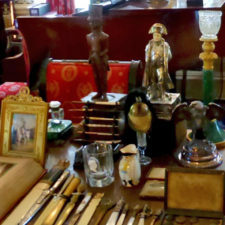 Over 12,500 fine and decorative arts pieces are displayed inside, just as he left them. Mathis collected mechanical instruments like this violano virtuoso. These coin-operated devices were built for saloons as a less expensive alternative to live music. Water taxis and river barge tours are an enjoyable way to learn about the city and see it from a different perspective. 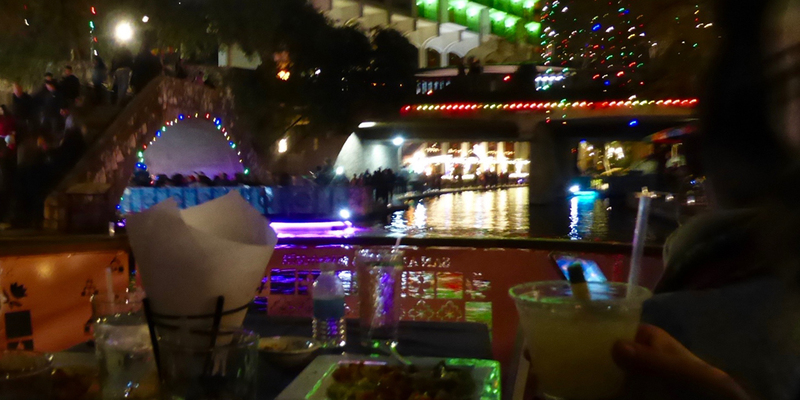 Better yet, try a narrated river barge dinner cruise. 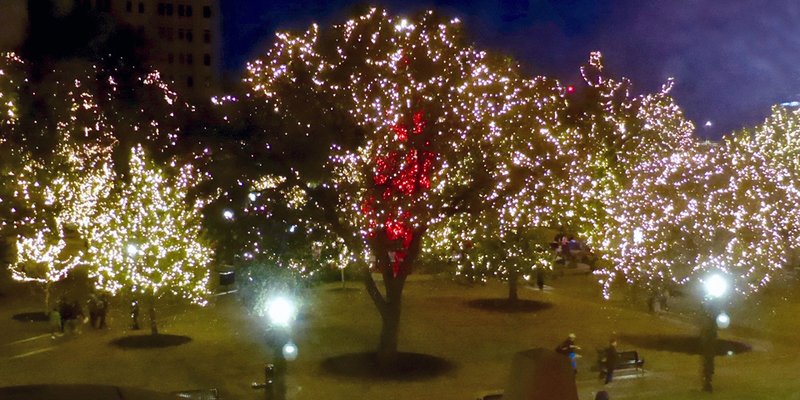 During the holiday season about 200 trees and 20 bridges were decorated with lights. Over 6,000 luminarias lined the walkways. The 15 mile long River Walk winds a story below street level through the heart of the city, a downtown area of restaurants, cafés, restaurants, bistros and shops. In the 1920s the Conservation Society developed a 21 block River Walk in time for the city’s crowning event, Fiesta, beautifying the area and providing flood control. It was extended for the 1968 World’s Fair, HemisFair ’68, which coincided with the 250th anniversary of the city’s founding. 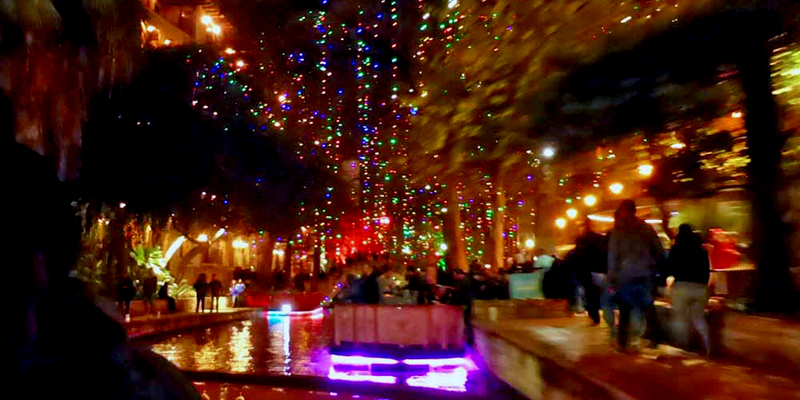 San Antonio’s reputation grew as a tourist destination. 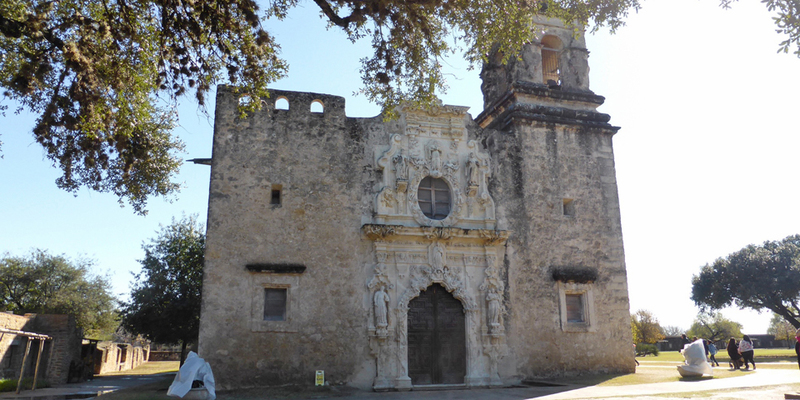 The eight mile Mission Reach stretch of the River Walk is a pedestrian and bicycle trail to four of the 18th century Spanish Colonial missions. 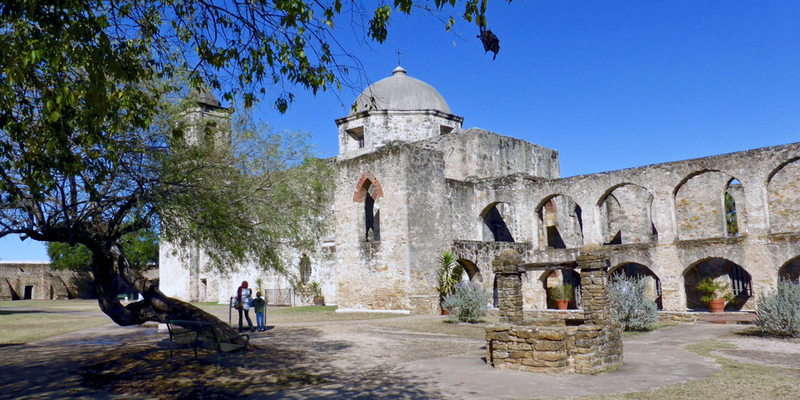 A ranger led our tour of the restored Franciscan Mission San José, the largest of these walled frontier communities. With the English to the north and French to the east, both labor and a growing population was needed to colonize a Spanish America. Missionaries were sent to save the souls of the indigenous population by converting them to the Catholic religion and to “civilize” them by teaching them the Spanish language and trades. 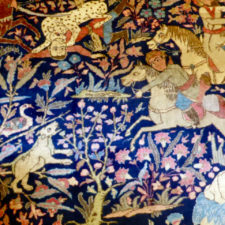 Native Americans also tended the surrounding fields, “labores,” as well as orchards and ranches. Bells marked a rigid schedule of masses and prayer, work, and meals. Life centered on the church and convento, where missionaries and lay assistants lived. 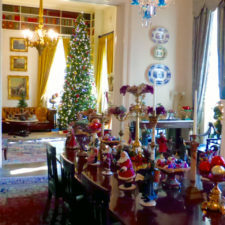 San Antonio, like most major cities, has its share of fine museums. The Witte Museum is the place to learn about everything Texas. There’s a special exhibit, Confluence and Culture: 300 Years of San Antonio History, for 2018, the tricentennial year. 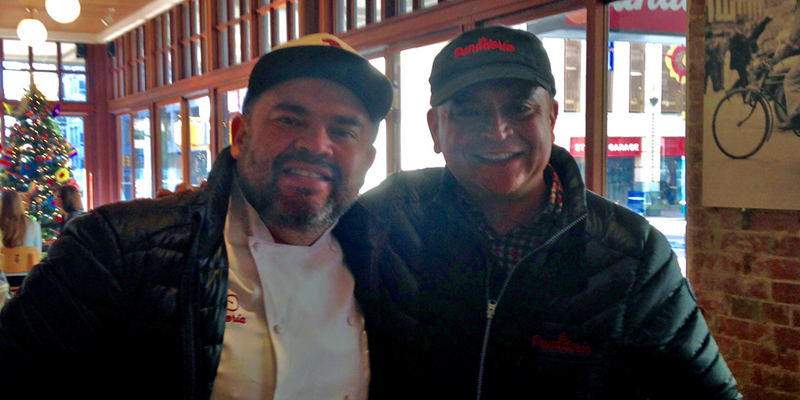 We were there for a Christmas-themed Super Saturday event, La Tamalada. 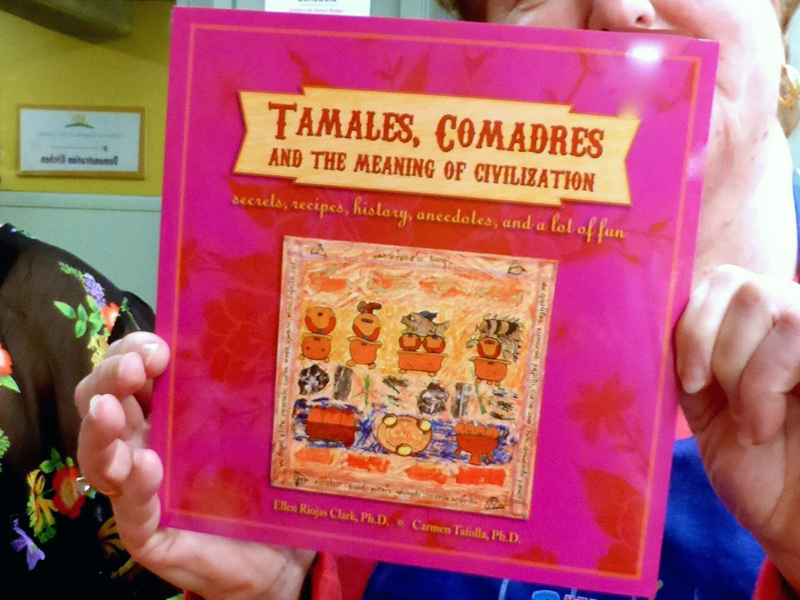 It was a workshop on the Mexican traditional tamale-making holiday party as a way to share family stories and pass along culture through food. It was taught by Dr. Ellen Riojas Clark, Ph. 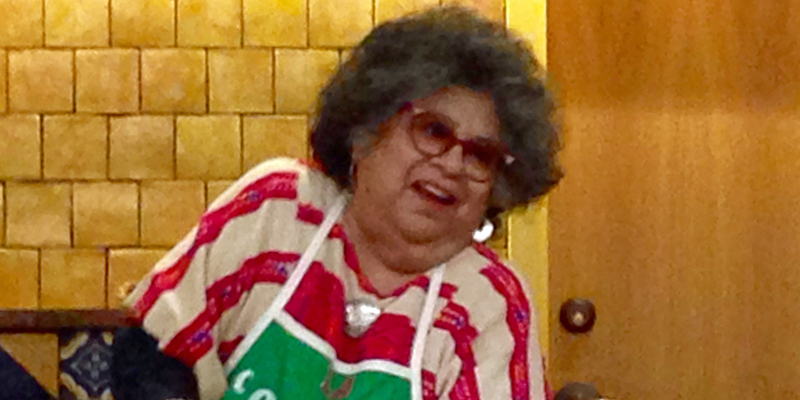 D. a retired professor and coauthor of “Tamales, Comadres, and the Meaning of Civilization.” She has been making tamales for over 50 years. Dr. Clark described the prerequisites of her family’s ritual . The women donned earrings and lipstick and brought tequila and their best gossip. They met in one house and asked the men and boys to leave. Her aunt, Tia Hope, wore high heels for this event until the age of 93. It is just not Christmas without dozens of tamales in the freezer, she noted. It’s the process, Dr. Clark stressed, not the product, as we mixed the masa with our hands. As we added prepackaged lard to our mix, she mentioned that the best tamales are made from the 100% pure lard from the Mexican Market. 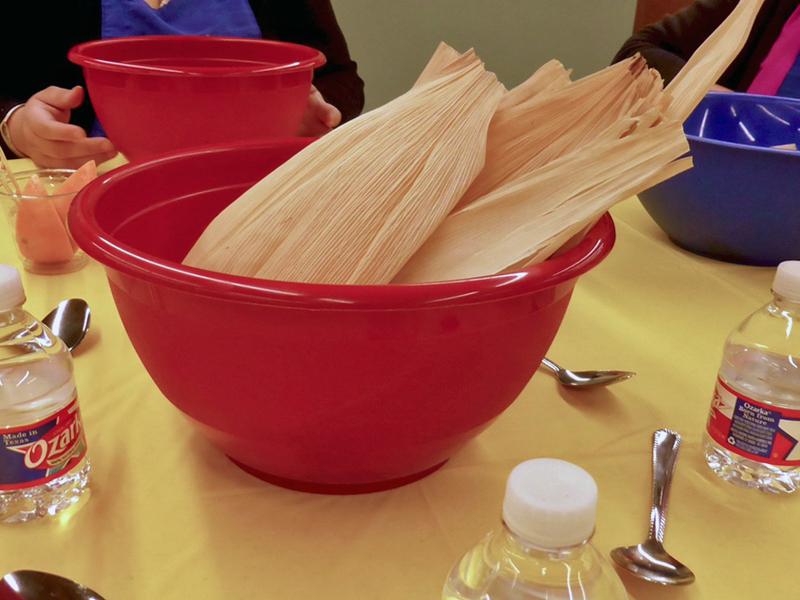 We learned how to wrap the tamale in a corn husk and cooked them in a large pot of boiling water before sampling our tamales and sharing gossip. 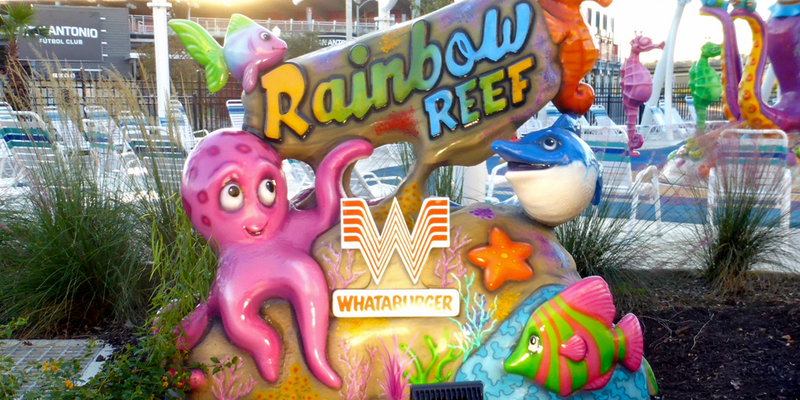 Children of all ages also enjoy visiting Six Flags Fiesta Texas, Sea World, and the San Antonio Zoo. 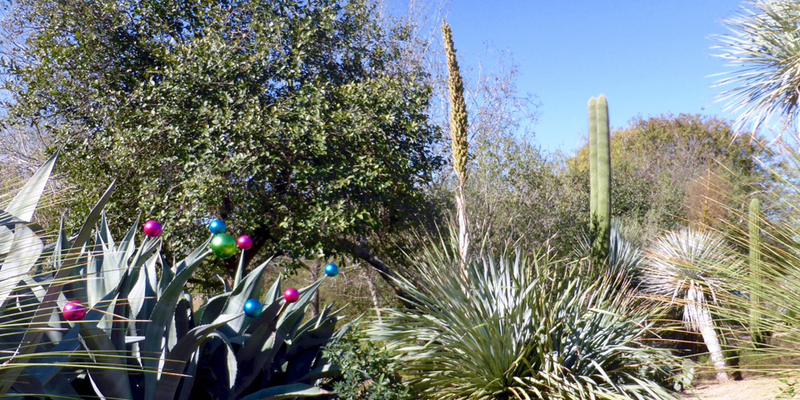 For a more serene experience, stroll the trails at the Botanical Gardens. The new family area is a place to learn about healthy foods and for parents and grandparents to relax while children play. 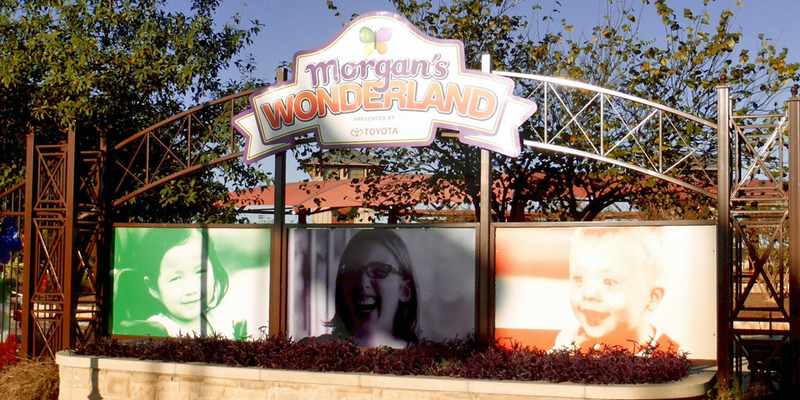 Morgan’s Wonderland is the world’s only fully-accessible theme park. It is designed with great sensitivity to enable people with and without special needs to come together, have fun, and better understand one another. Rides and attractions in this safe, colorful, barrier-free place are wheelchair accessible and the park is staffed, in part, by people with special needs. It includes the world’s first ultra-accessible splash park and wheelchairs that can get wet. Parking is free, food may be brought in from outside, and admission is free for children with special needs.